"It’s just after 3:30 p.m. on a recent Tuesday and Atlantic Middle School, and science teacher Kara Martin is passing out Pringles potato chips" reports Lynn Anderson Davy, Office of Strategic Communication. But instead of popping the chips into their mouths, the sixth- and seventh-graders cradle them in open palms, waiting for instructions. This isn’t snack time. This is science. With the chips distributed, Martin explains that students will work in small groups to engineer the perfect chip package, one that will measure a maximum of 3-by-5 inches and will protect their chip as it travels through the U.S. Postal Service system. “And you can’t write ‘fragile’ or ‘handle with care’ on your package,” Martin says just before students leap into action. 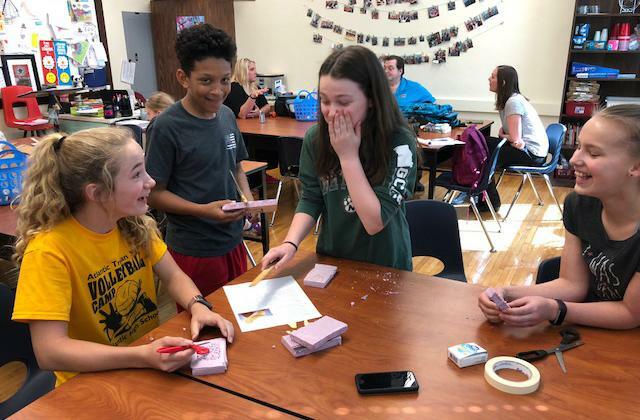 For the past three years, a small number of science-savvy students at Atlantic Middle School, located 80 miles west of Des Moines, have benefited from additional classroom work in STEM subjects. Sixth- and seventh-grade students meet with Martin for an hour every Thursday to conduct experiments that incorporate advanced engineering and science concepts. Eighth-graders meet on Saturday mornings with another teacher. The science tutorials are part of a program offered by the Belin-Blank Center, part of the University of Iowa College of Education. With funding from the National Science Foundation and the Jack Kent Cooke Foundation, the STEM Excellence and Leadership program aims to encourage gifted students in rural areas to take on rigorous science and technology classes and urges them to pursue STEM fields in college. Although the program is still fairly new, feedback from participating middle school teachers has been positive. Atlantic Middle School is one of 10 schools across Iowa that are part of the STEM Excellence and Leadership program. 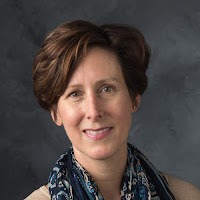 Teachers at participating schools receive additional funding to purchase science and technology resources, including supplies for experiments and classroom projects, and are invited once a year to tour the UI campus with their students. As part of the tour, students visit science and engineering labs on campus and meet with college students. Teachers also visit campus during the summer for professional development and discuss new ways to boost STEM education at their schools.